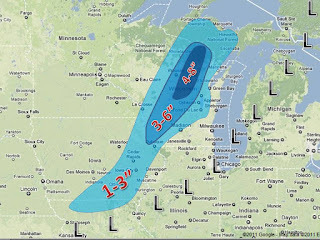 Yes, the storm has shifted again, This is due to the amount of phasing out in the Dakotas, but we will not get into that. Although it is only a day and a half away, models continue to have problems with it. 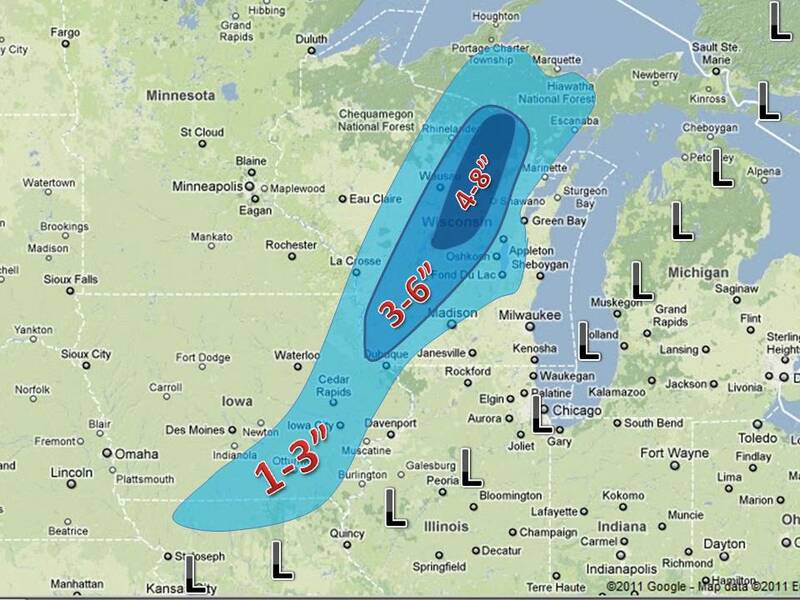 The map on the left shows the likely amounts of total snow. Plese note the number on the map may not be what yousee at your house. It is still relatively warm and a good amount of melting will occur on contact. Winter storm warning have been issued in northern wisconsin and advisories have been issued is parts of wisconsin as well! If anything major changes, look for another update late tonight!